TweetDeck has released a new version of its TweetDeck Chrome application, complete with updates to the search box functionality. Starting today, the company says that users will see it’s “extremely easy to find someone you’re looking for”, while getting suggestions for similar terms — basically helping make topical searches much more effective. 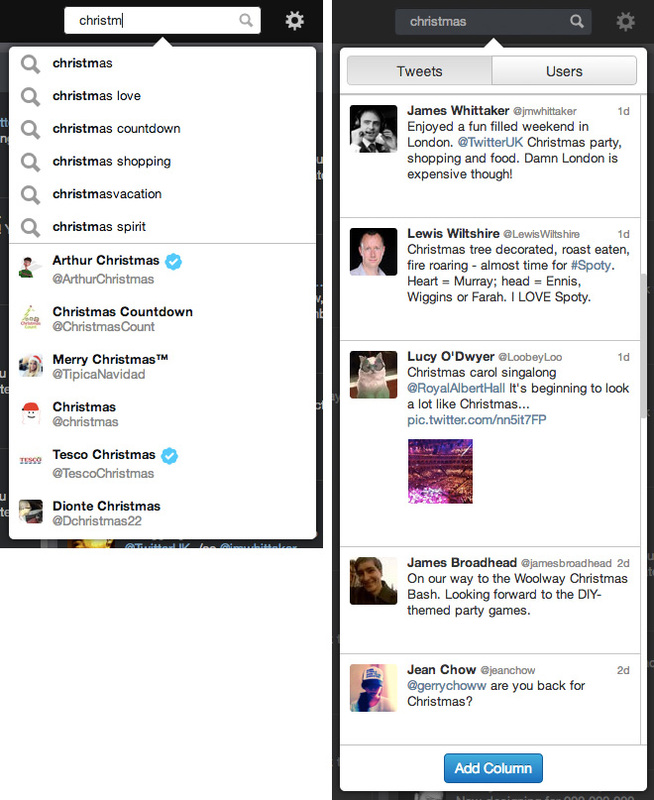 When people search on TweetDeck, it’s sometimes a hit or miss on what the search results are displaying. Now, the search bar will display a dropdown when you click on it to share with you previous searches. Naturally if you click on past searches, it will display those results again. That’s not the improvement — rather, it’s that when you start typing a character in the search box, not only a related search query is run, but it will also display the user accounts whose names have the search term in there as well. TweetDeck was acquired by Twitter in 2011 for $40 million. The typeahead and people search features are now available for the Chrome TweetDeck application and it says that the Web, PC, and Mac versions will get these updates over “the coming weeks”.